There are 9 Memory Care Facilities in the South Holland area, with 2 in South Holland and 7 nearby. The average cost of memory care in South Holland is $3,782 per month. This is lower than the national median of $4,650. Cheaper nearby regions include Flossmoor with an average starting cost of $3,228. To help you with your search, browse the 30 reviews below for memory care facilities in South Holland. On average, consumers rate memory care in South Holland 4.8 out of 5 stars. Better rated regions include Oak Lawn with an average rating of 5.0 out of 5 stars. Caring.com has helped thousands of families find high-quality senior care. To speak with one of our Family Advisors about memory care options and costs in South Holland, call (855) 863-8283. The village of South Holland is home to about 22,000 residents, nearly 16 percent of whom are seniors. According to the Alzheimer's Association, seniors are most likely to be diagnosed with Alzheimer's disease, an illness that 220,000 people in Illinois are currently living with. In South Holland, memory care may be provided in supportive living facilities, which are exclusively for residents with Alzheimer's and dementia, or any assisted living facility that is licensed and certified to provide memory care. South Holland has two memory care facilities, and there are seven more facilities located nearby. While Illinois has a relatively high sales tax and its own estate tax, retirement income including Social Security benefits and income from pensions and retirement savings accounts is exempt from state income tax. This may allow seniors to put more money toward memory care in South Holland. Ozone pollution levels in Cook County are very high, according to the American Lung Association, with the region ranking 22nd out of 227 metropolitan areas for high ozone days. Because poor air quality can worsen certain health conditions, South Holland's ozone pollution levels may be a consideration for families researching memory care in the area. As a whole, living expenses in South Holland are a little higher than the U.S. average, which can affect the cost of memory care in the area. Healthcare expenses here are somewhat lower than the national median, however, which may make it more affordable for seniors and families to manage the costs associated with chronic conditions like dementia. Over the course of a year, temperatures in South Holland range between 19 degrees and 84 degrees. The region receives 31 inches of snow annually, which is about 5 inches more than the national average. As they are touring local memory care facilities, families may want to find out what measures are taken to keep residents safe during very cold weather. Memory Care costs in South Holland start around $3,782 per month on average, while the nationwide average cost of memory care is $4,799 per month. It’s important to note that memory care rates in South Holland and the surrounding suburbs can vary widely based on factors such as location, the level of care needed, apartment size and the types of amenities offered at each community. South Holland and the surrounding area are home to numerous government agencies and non-profit organizations offering help for seniors searching for or currently residing in an assisted living community. These organizations can also provide assistance in a number of other eldercare services such as geriatric care management, elder law advice, estate planning, finding home care and health and wellness programs. To see a list of free memory care resources in South Holland, please visit our Assisted Living in Illinois page. 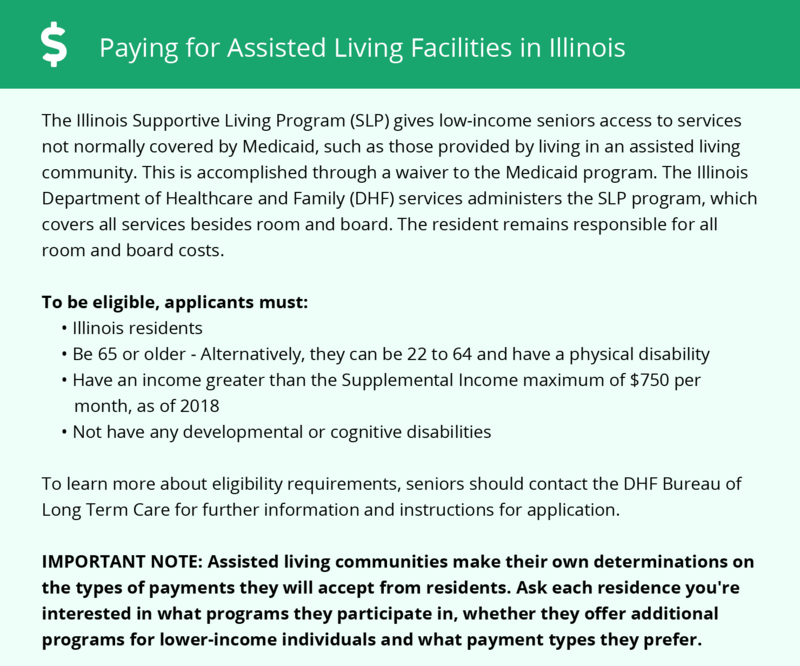 South Holland-area assisted living communities must adhere to the comprehensive set of state laws and regulations that all assisted living communities in Illinois are required to follow. Visit our Memory Care in Illinois page for more information about these laws.